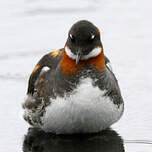 : 31 à 34 cm. 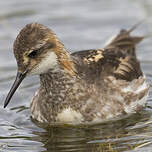 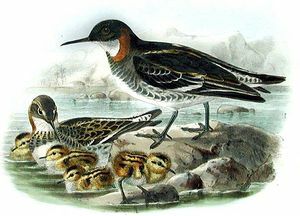 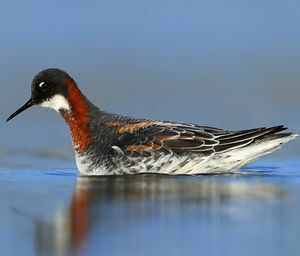 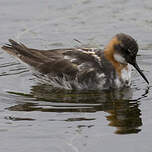 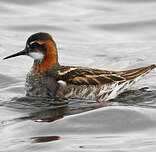 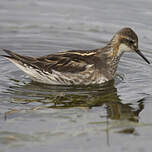 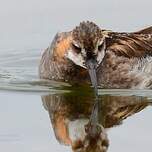 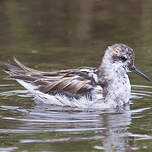 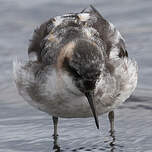 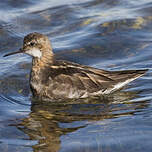 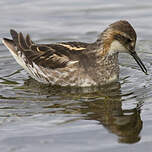 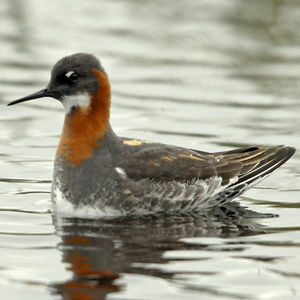 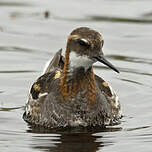 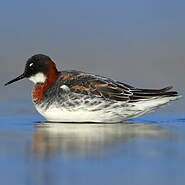 Red-necked Phalarope (Phalaropus lobatus) is a species of bird in the Scolopacidae family. 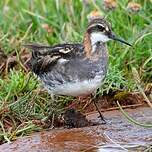 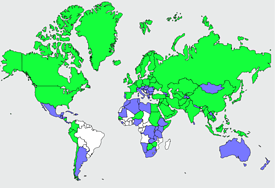 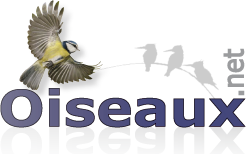 Wetlands (inland) : Permanent Freshwater Lakes (over 8ha), Seasonal/Intermittent Freshwater Lakes (o.